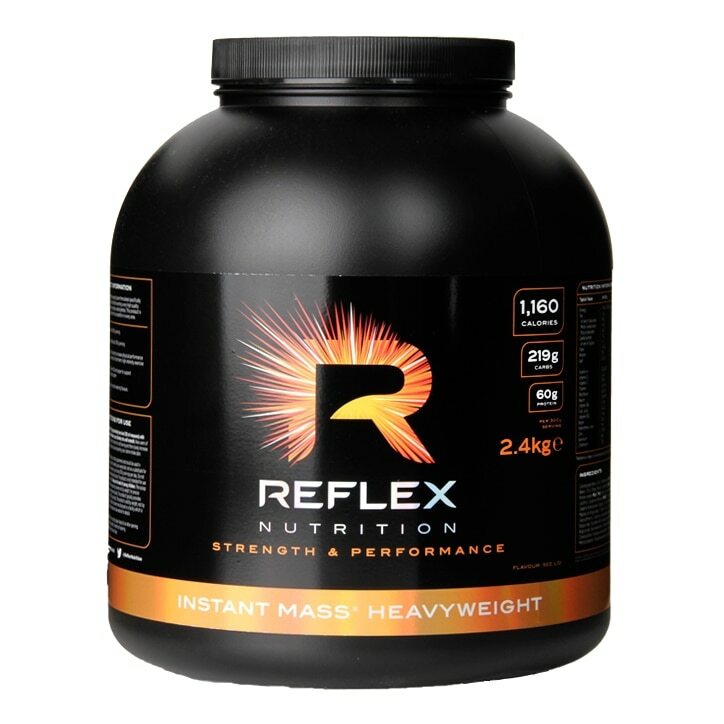 Reflex Instant Mass Heavyweight Powder Chocolate is rated 4.4 out of 5 by 10. Rated 5 out of 5 by Chadree from It’s a decent creatine milkshake powder! I think for the price and size it’s a good deal overall, and so far it tastes like a proper milkshake! Rated 5 out of 5 by Brat15 from Real value for money! I bought his for my son. He says its one of the best buys! Rated 5 out of 5 by Stark from Awesome!! Great product, tastes amazing can't fault it whatsoever!!. Made some good gains. Holland & Barratt are amazing great deals!! Order more already just for before and after the gym, in no way should anyone replace a meal for a shake! !